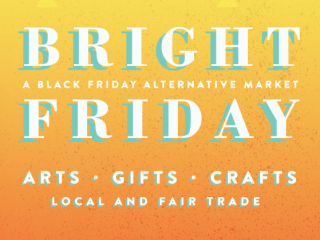 Join the Amala Foundation and Vuka Austin as they host the Second Annual Bright Friday — a Black Friday alternative shopping experience. This free, family-friendly community event presents an opportunity for Austinites to gather and support local, fair and direct trade artisans the day after Thanksgiving. Instead of spending Black Friday waiting in lines at Best Buy or Target, check out an event where you'll can find unique crafts, gifts and treasures from some of Austin's most talented artisans. You can RSVP through Facebook here.